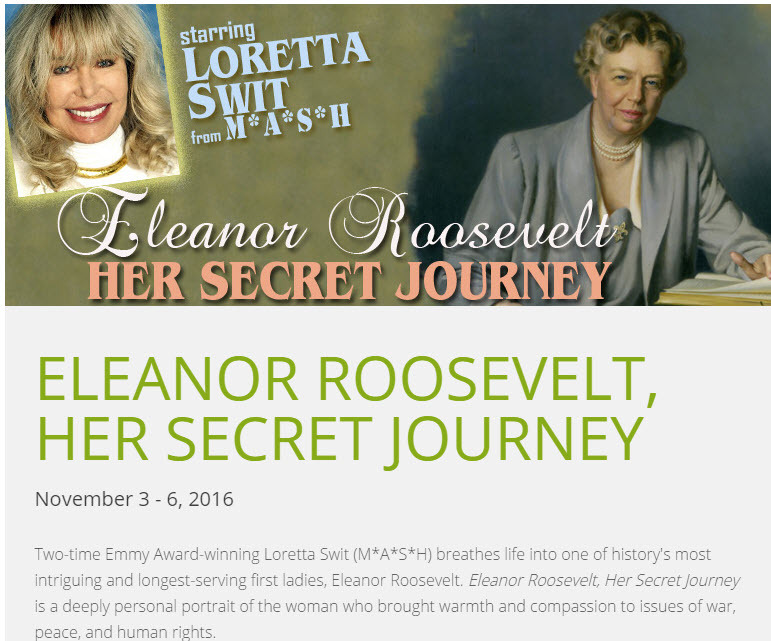 Loretta Swit continues her performance of Eleanor at the Laguna Playhouse in Laguna Beach California Nov 3-6. This entry was posted in Eleanor, News. Bookmark the permalink.